No one would argue that Mazda’s RX-7 and RX-8 were the most famous roqad-going cars built with rotary engines. There was also the stunningly gorgeous Mazda 787B, which is the only rotary-powered car ever to win Le Mans. But there were a good handful of other cars that used the rotary design. Some did better than others in life, but all of them shared the spirit of blending small capacity with high specific output. Let’s take a drive down memory lane and look at some of the projects that rotary fame forgot. The unlikely four-ringed entry to this list is also the most recent. 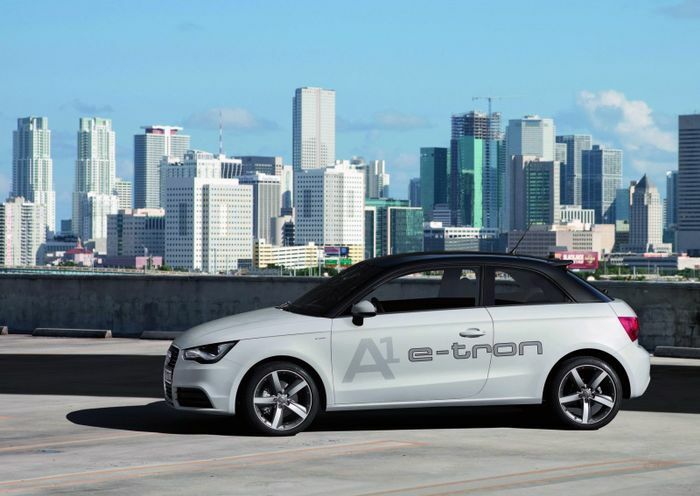 The A1 e-tron concept emerged in 2010 as a vision of how a future small car could be powered. It used a hybrid drivetrain based around two electric motors and an engine; in this case a 254cc Wankel – but other types of engine could be swapped in as well. Like any range-extender it could run on electricity alone or a combination of both the engine and motors. It only weighed 1190kg even with the batteries and motors taken into account, but still wasn’t very punchy once it was moving. The 0-62mph dash took a leisurely 10.2 seconds. It did only have 60bhp always on tap; its 101bhp peak was only yours in short bursts. 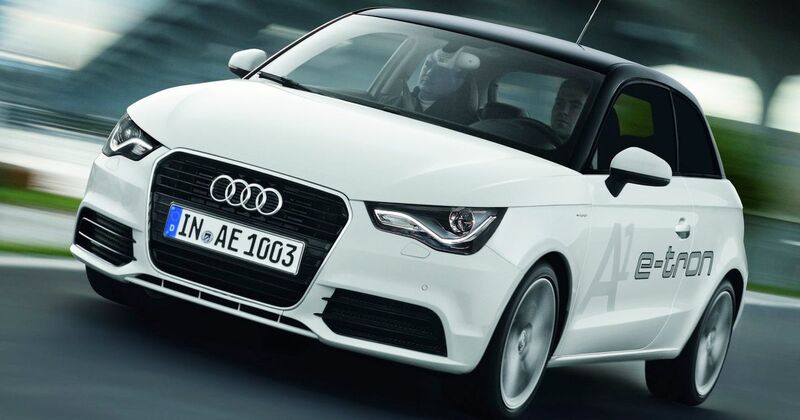 At least its 12-litre thimble of a fuel tank could top the car’s total theoretical range up to 155 miles. The Cosmo was Mazda’s first rotary-engined car and for a long time it was the company’s flagship. Mazda kept at it until it was clear that it had run out of consumer appeal alongside the sleeker, more desirable RX-7. It was a huge shame, because the last (JC) Cosmo had become a technological powerhouse way, way ahead of its time. It’s the HB Cosmo that tends to creep under the radar, though, being less desired than the JC or the early versions, the L10A/B and the CD. Very much a pure 1980s piece of design, the HB sported some outrageous interiors and, of course, pop-up headlights. It’s not the prettiest thing in the world but today it keeps a sweet kind of retro charm. NSU was the first Western car maker to build a rotary-powered car. That was the 1964 Spider, but we couldn’t get hold of any large enough images of it. Instead, we’re featuring a later model. 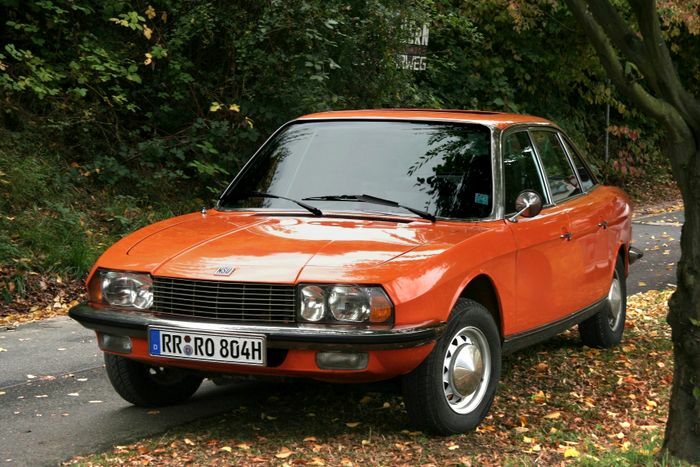 The 1967 Ro 80 was a four-door saloon aimed at families in the former West Germany. The Comotor-built Wankel measured 995cc and delivered a very healthy 106bhp to the front. NSU was gradually absorbed into Audi over the following decades, but the site it was built at, in Neckarsulm, is still used by Audi today to build the A4, A5, A6, A7 and A8. Audi Sport is also based there. Before anyone starts furiously commenting that the Pacer didn’t actually use the rotary engine it was designed to take; we know. We’re talking about the prototype that wowed North America at a time when circumstance was just starting to push people out of their gigantic gas-guzzlers and into something a little smaller. That prototype used a rotary. Unfortunately for AMC, the agreements it had in place for engine supply were shredded and forgotten by supplier General Motors when it became clear that the unit simply wouldn’t meet the US’s upcoming and more stringent emissions regulations. 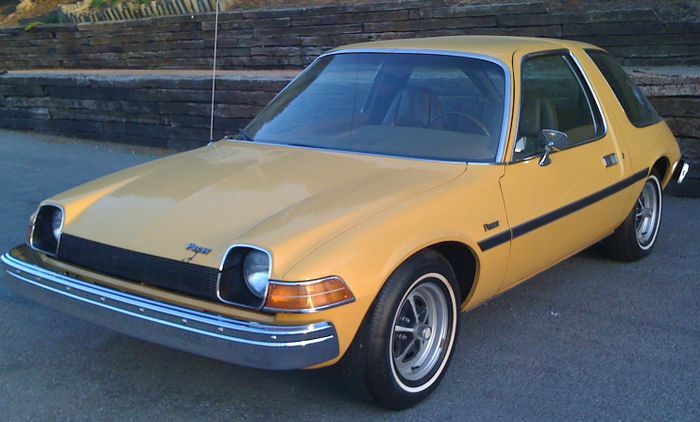 A hastily-adapted straight-six Pacer sold well at first, but its poor fuel economy let it down versus the four-cylinder cars GM and others churned out by the late ‘70s. 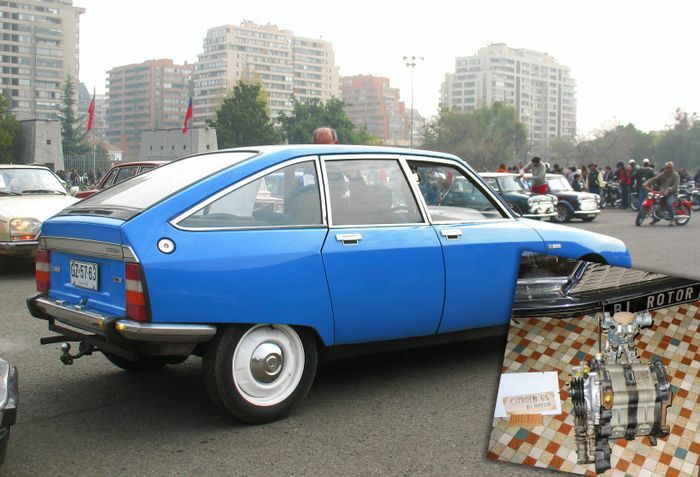 The gorgeous Citroen GS spawned a rotary brother, sometimes called the GZ but usually known as the Birotor. Two Wankel rotors operated in perfect harmony to give a butter-smooth power delivery that went hand-in-hand with Citroen’s amazingly comfortable hydropneumatic suspension. It was a terrible failure, though. Brilliant, but with a price tag to match, it cost as much as the larger DS and some 70 per cent more than a regular GS. Just as it was released, the 1970s oil crisis hit and the thirsty Birotor became about as desirable as facial warts. Just 847 were reportedly sold and Citroen effectively tried to disown the model altogether, initially refusing to supply spare parts or even acknowledge existing owners. Regardless of what powered it, the mid-engined Aerovette was an absolute masterpiece of American design. Originally penned in the 1960s it kept a feeling of relationship to the Corvette Stingray while looking altogether faster. Experimental Project 882 (XP-882) was an on-off-on project in the latter part of the decade before 1972 saw it rejuvenated with a new four-rotor engine. Two two-rotor Chevrolet Vega engines were joined and the car was renamed XP-895. It produced 420bhp and most likely sounded epic, but like with other rotary cars of the era, the oil crisis ruined any chances of it making production. 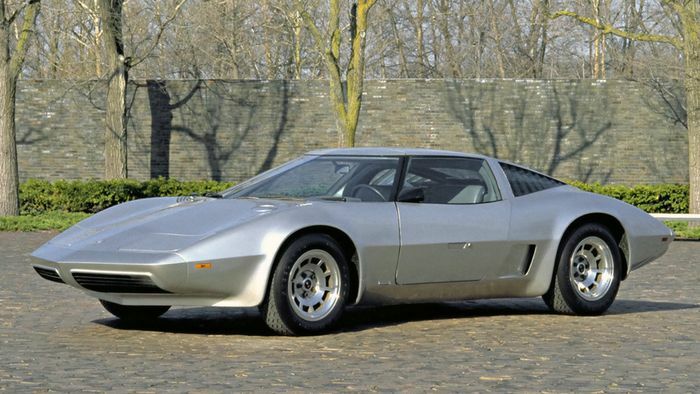 In 1976 the Wankel was replaced with a nice, efficient 6.6-litre V8, named the Aerovette and added to 1980’s production calendar. It was then cancelled yet again after various senior GM staff retired and the company changed direction. A shame, if you ask us, although a mid-engined Chevrolet sports car is coming to the US at last.